In 2003, two mates from Melbourne, Australia (Travis Garone and Luke Slattery) were having a quiet beer at the Gypsy Bar in Fitzroy when their conversation turned to recurring fashion trends. The moustache, a fixture in past decades, was nowhere to be seen in recent trends. They joked about bringing it back. The two friends decided to talk their mates into growing a Mo. Inspired by a friend’s mother who was fundraising for breast cancer, they decided to make the campaign about men’s health and prostate cancer. They designed the rules of Movember (which are still in place today) and agreed to charge ten dollars to grow a Mo. Trav designed the first Movember logo, and they sent around an email titled ‘Are you man enough to be my man?’ They found 30 guys willing to take up the challenge. Those first 30 Mo Bros grew their moustaches with such enthusiasm that in 2004 a decision was made to formalise the concept and get all participants growing for a cause. Adam Garone stepped up to help take Movember to the next level, registered a company and created a website. Justin Coghlan (JC) came on board to run the campaign interstate. The guys researched men's health issues and agreed to formally support prostate cancer as their cause. They also explored prostate cancer groups and Adam approached the Prostate Cancer Foundation of Australia (PCFA). The PCFA agreed to accept funds from the 2004 campaign but was not an official men’s health partner. 450 Mo Bros raised AUD 54,000, with Spain and the UK becoming home to the first international Mo Bros. The entire proceeds were donated to the PCFA – all costs were covered by the four co-founders until (and including) the 2005 campaign. That first Movember cheque to the PCFA was the largest single donation they received. JC joined Luke, Trav, and Adam to run the 2005 campaign, and the Urchin team designed a new campaign creative with the concept 'Give Prostate Cancer a Kick in the Arse'. A formal agreement was struck with the PCFA and they became Movember’s first official men’s health partner. That year, 9,315 Mo Bros raised AUD 1.2 million for the PCFA. 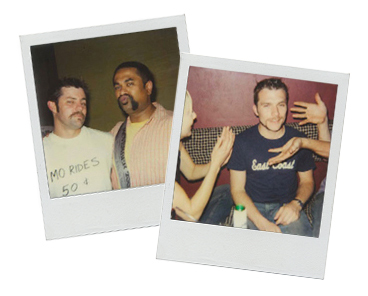 In 2006, the four co-founders established an official Australian charity, the Movember Foundation. By now, the campaign was too big to manage on nights and weekends, so Adam and Luke began working for Movember full time. Together they employed Movember’s first full time employee, and the campaign was run from Prahran in Melbourne, and Luke’s apartment in Queensland. Luke developed Movember’s official tagline: Changing the face of men’s health. Further research into men’s health in Australia revealed that depression was a significant issue, and beyondblue: the national depression and anxiety initiative was brought on as Movember’s second men’s health partner. That year, the campaign was launched in New Zealand in partnership with The Prostate Cancer Foundation of NZ. Small unofficial campaigns were also run in the UK and Spain. A total of 56,129 Mo Bros and Mo Sistas in Australia and New Zealand raised AUD 9.3 million. 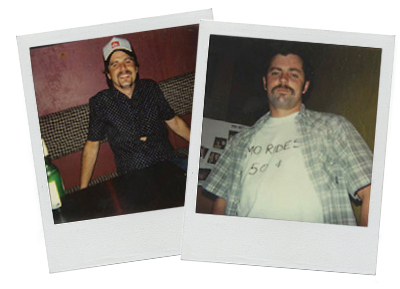 In 2007, encouraged by the growing enthusiasm and efforts of Mo Bros and Mo Sistas around the world, the four co-founders decided to grow the campaign internationally. Adam moved to Los Angeles to launch the US and Canadian campaigns in partnership with The Prostate Cancer Foundation and Prostate Cancer Canada. JC launched the UK campaign with The Prostate Cancer Charity, and Luke ran the Australian and New Zealand campaigns. A small campaign was also run in Spain in partnership with FEFOC. The Movember Board was formalised and extended beyond the four co-founders. Trav and the team at Urchin continued to look after the campaign creative and the concept that year was 'Mo man is an island: Mindset, Journey, Destination'. The 2007 campaign saw 134,171 Mo Bros and Mo Sistas in Australia, New Zealand, the US, Canada, the UK and Spain raise AUD 21.5 million and generate enormous awareness of men’s health issues. Since those first few years, Movember has continued to grow at an extraordinary pace. There are now official campaigns in 21 countries and together we’ve raised more than AUD 730 million to fund over 1,000 men’s health programs. Our focus has broadened to four key men’s health issues: prostate cancer, testicular cancer, poor mental health and physical inactivity. We’ve seen the growth of millions of moustaches, significant breakthroughs in scientific research, and a fundamental shift in the conversation around men’s health. With the support of millions of Mo Bros and Mo Sistas from all over the world, Movember is working towards its vision: to have an everlasting impact on the face of men’s health.